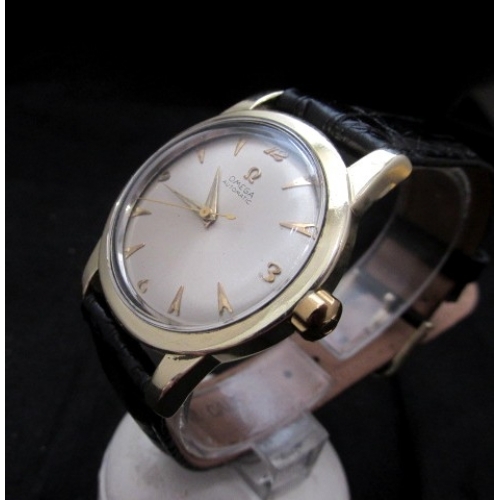 Outstanding condition on this Beefy Lug gold capped Automatic with original factory crown. 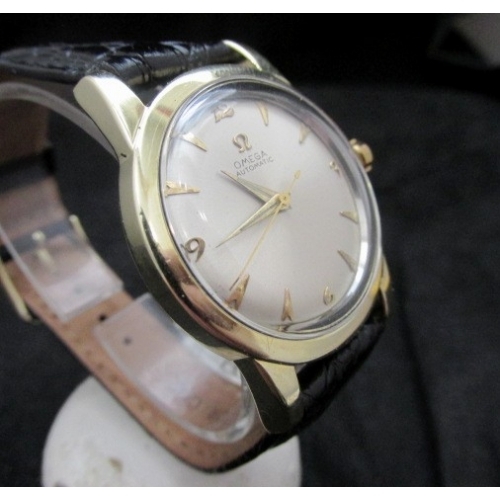 Dial is in mint restored condition with gold markers. Movement is an early automatic, caliber 354 with 17 jewels and running perfect. 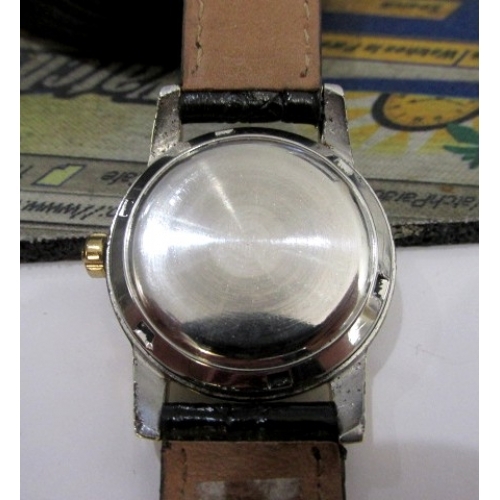 Case measures 34.5 mm x 42.6 mm overall with screw back and original factory crown. Case has beefy lugs in stainless steel with gold capped lugs and bezel. Outstanding condition on this very early Omega , in very high condition .... ready to go! 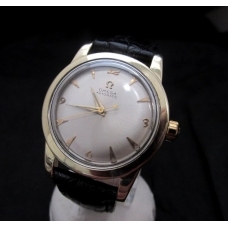 Really clean Omega produced in 1951 in near mint condition!